How to Book Foxtail Bottle Service at Foxtail Nightclub? 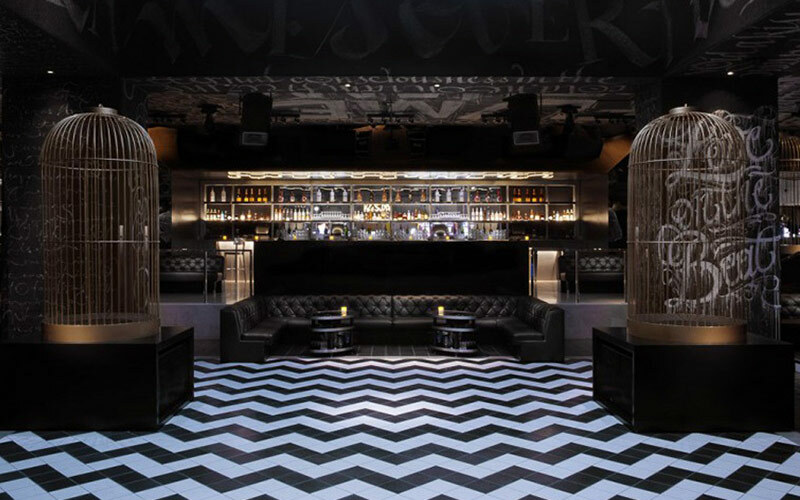 Trying to secure Foxtail bottle service at Foxtail Nightclub in Las Vegas NV at the SLS Hotel with a credible company that will secure your booking so there are no issues when you arrive? Las Vegas Nightclubs would like to handle all of your nightlife needs at this 8,000 square foot venue. 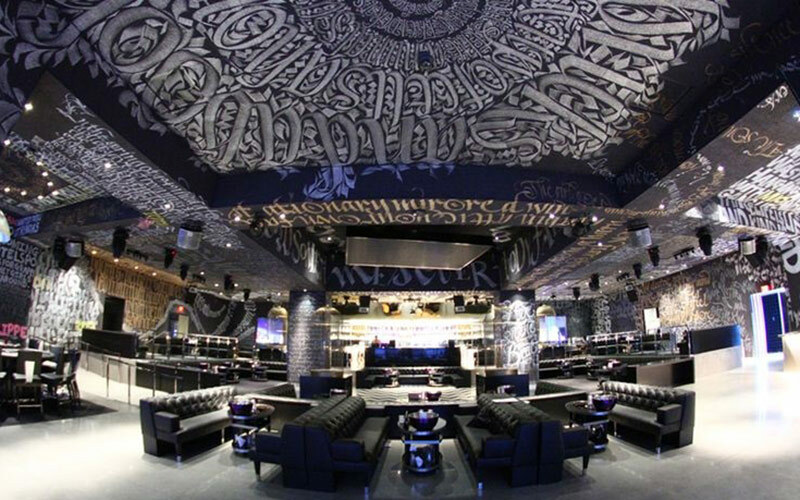 This nightclub has a total of 41 VIP table locations, with 37 on the inside and 4 on the outside. There are 6 table location types to choose from including 8 Section 1, 4 Patio, 6 Third Tier, 6 Second Tier, 4 Elevated VIP, and 9 Dance Floor tables. 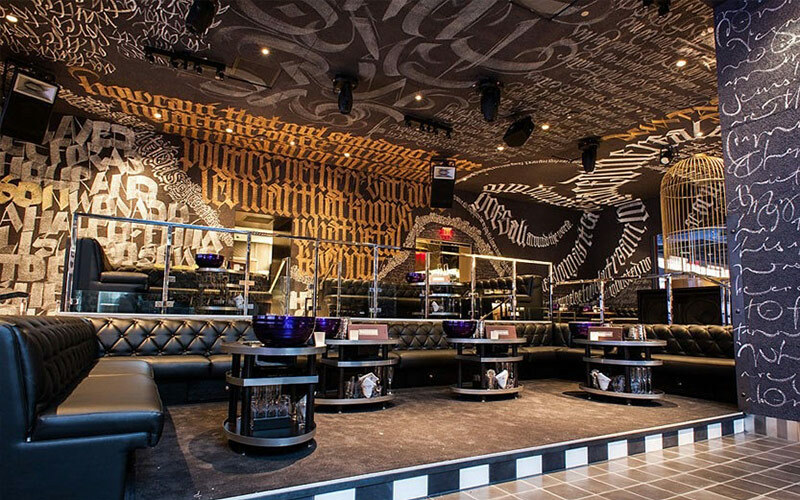 If you want to know how to book Foxtail bottle service at Foxtail Nightclub in the SLS Hotel, you have come to the right host agency. The table minimum pricing is pretty consistent since the club does not normally bring in top tier headliner DJs. Table minimums start as low as $500 and reach as high as $1,500 on Friday, Saturday, and Sunday. Occasionally they will bring in some top DJ talent, and celebrity hosts during holidays where you should expect a slight increase in the price. How much are Patio tables for Foxtail bottle service at Foxtail Nightclub? Patio tables has 4 locations outside that require a table minimum that costs $500 to $750. On Friday, Saturday, and Sunday the minimum is $500, and during holidays the price may reach as high as $750. Pricing is an estimate based on up to 8 people in your group, and is subject to change at any time. How much are Section 1 tables for Foxtail bottle service at Foxtail Nightclub? Section 1 tables has 8 locations inside that require a table minimum that costs $500 to $750. On Friday, Saturday, and Sunday the minimum is $500, and during holidays the price may reach as high as $750. Pricing is an estimate based on up to 4 people in your group, and is subject to change at any time. How much are 3rd Tier tables for Foxtail bottle service at Foxtail Nightclub? 3rd Tier tables has 6 locations inside that require a table minimum that costs $500 to $750. On Friday, Saturday, and Sunday the minimum is $500, and during holidays the price may reach as high as $750. Pricing is an estimate based on up to 8 people in your group, and is subject to change at any time. How much are 2nd Tier tables for Foxtail bottle service at Foxtail Nightclub? 2nd Tier tables has 6 locations inside that require a table minimum that costs 1,000 to $1,500. On Friday, Saturday, and Sunday the minimum is $1,000, and during holidays the price may reach as high as $1,500. Pricing is an estimate based on up to 8 people in your group, and is subject to change at any time. How much are Elevated VIP tables for Foxtail bottle service at Foxtail Nightclub? Elevated VIP tables has 4 locations inside that require a table minimum that costs $1,500 to $2,000. On Friday, Saturday, and Sunday the minimum is $1,500, and during holidays the price may reach as high as $2,000. Pricing is an estimate based on up to 12 people in your group, and is subject to change at any time. How much are DJ tables for Foxtail bottle service at Foxtail Nightclub? DJ tables has 4 locations inside that require a table minimum that costs $1,500 to $2,000. On Friday, Saturday, and Sunday the minimum is $1,500, and during holidays the price may reach as high as $2,000. Pricing is an estimate based on up to 10 people in your group, and is subject to change at any time. How much are Dance Floor tables for Foxtail bottle service at Foxtail Nightclub? Dance floor tables has 4 locations inside that require a table minimum that costs $1,500 to $2,000. On Friday, Saturday, and Sunday the minimum is $1,500, and during holidays the price may reach as high as $2,000. Pricing is an estimate based on up to 10 people in your group, and is subject to change at any time. How much are bottles of Champagne with Foxtail bottle service at Foxtail Nightclun? Champagne ranges from $450 to $275,000 for 750ML to 30 Liter size bottles. Large format champagne is $5,000 to $275,000 for 3 Liter to 30 Liter sizes by Veuve Clicquot, Perrier Jouet, Dom Perignon, Louis Roederer, and Armand de Brignac. Magnum champagne is $1,000 to $3,400 for 1.5 Liters by Veuve Clicquot, Moet & Chandon, Perrier Jouet, Dom Perignon, Louis Roederer, and Armand de Brignac. Regular size champagne is $450 to $2,000 for 750ML by Vievite, Veuve Clicquot, Perrier Jouet, Moet & Chandon, Krug, Dom Perignon, Louis Roederer, and Armand de Brignac. Prices and brands are subject to change at any time. How much are bottles of Liquor with Foxtail bottle service at Foxtail Nightclub? Liquor ranges from $550 to $7,500 per bottle. Magnum Vodka is $1,100 to $1,700 for 1.75 Liters by Ketel One, Grey Goose, Ciroc, Belvedere, and Stoli Elit. Regular size Vodka is $550 to $850 for 1 Liter by Ketel One, Absolut, Ciroc, Grey Goose, Belvedere, Absolut Elyx, and Stoli Elit. Magnum Tequila is $1,100 to $2,495 for 1.75 Liters by various Patron labels. Regular size Tequila is $550 to $1,250 for 750ML by Patron, El Cartel, Don Julio, Corzo, Casamigos, Avion, and Deleon. Whiskey is $550 to $950 for Maker’s Mark, Jameson, Jack Daniel’s, Crowne Royal, and Lock Stock and Barrell. Rum is $550 for 1 Liter by Malibu, Bacardi, and Captain Morgan. Gin is $550 to $595 fo 1 Liter by for Tanqueray, Bombay Sapphire, and Hendrick’s. Cognac is $550 to $7,500 for 1 Liter by D’Usse, Bombay Sapphire, and Louis XIII. Wine is $550 to $750 for 750ML by Opus One and Louis Latour. What are the packages for Foxtail bottle service at Foxtail Nightclub? There are 5 packages with Elyx Vodka. Package #1 offers 1 Liter of Elyx Vodka and 750ML of Perrier Jouet Grand Brut Champagne. Package #2 offers 1 Liter of Elyx Vodka and 750ML of Pierre Jouet Belle Eopque Brut Champagne. Package #3 offers 1 Liter of Elxy Vodka and 750ML of Perrier Jouet Belle Epoque Rose Champagne. Package #4 offers 1.75 Liters of Elxy Vodka and 1.5 Liters of Perrier Jouet Belle Epoque Brut Champagne. Package #5 offers 1.75 Liters of Elxy Vodka and 1.5 Liters of Perrier Jouet Belle Epoque Brut Rose. What type of mixers are included with Foxtail bottle service at Foxtail Nightclub? You reservation will include standard mixtures such as Coke, Sprite, club soda, tonic, cranberry, orange, and pineapple juice. You can complement your bottle with a 6 pack of Red Bull and sugar free Red Bull for $45. You can also order a 6 pack of bottled water for $45 which includes Badoit Sparkling or Evian. 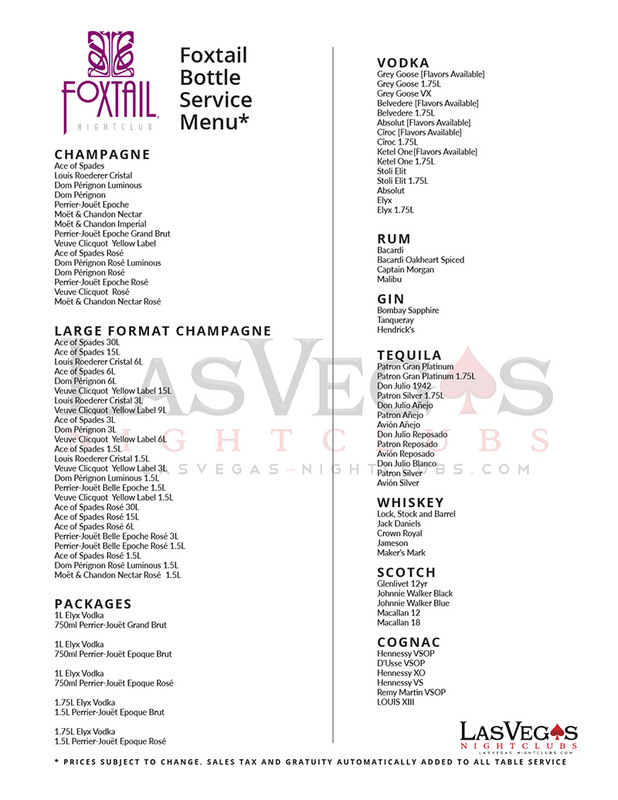 How much are drinks prices with Foxtail bottle service at Foxtail Nightclub? Cocktails and mixed drinks are about $12 to $15. Shots are $12, and Beers are $10. Feel free to add a 6 pack of beer for $55 that includes Bud Light, Corona, Dos Equis Amber, Heineken, Stock Top Belgium White Ale, and Rekorderlig Cider. You can also order cigarettes for $10 and a Hookah for $200. What happens after I book Foxtail bottle service at Foxtail Nightclub? After booking with our company you will receive a confirmation in your email with the details of your reservation, and instruction to follow in order to meet up with one of our VIP hosts. Our host will expedite the waiting time in line and then assist you to your table where you will be introduced to your cocktail waitress. Your cocktail waitress will then present you with the menu and then ask you which mixers you prefer. At that point you should decide whether you will be paying cash or credit. How much are taxes and gratuities with Foxtail bottle service at Foxtail Nightclub? 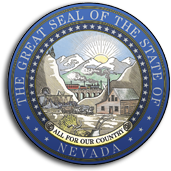 All reservations require an 8.1 % state sales tax on alcohol, a 22% gratuity for the cocktail waitress and a 5% resort and venue fee. Visit our pages on Las Vegas bottle service for more information, or check out our current Las Vegas bottle service deals. Learn about the Foxtail guestlist. 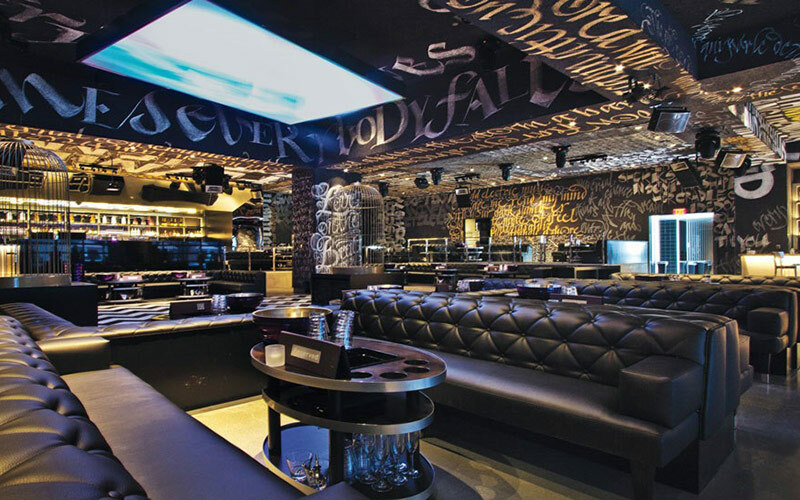 Learn more about Foxtail Nightclub Las Vegas. Nightclub at the SLS offering cocktails & light eats in a stylish setting with DJs.